We love to get pictures! 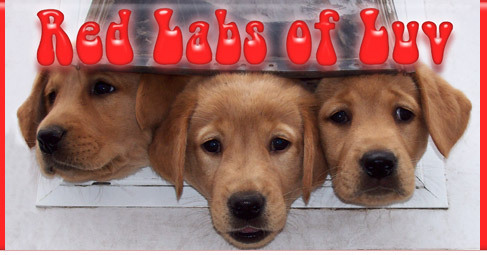 I do not give permission for the use of any images, logos, text, photos and materials that are the property of Red Labs of Luv (not limited to personal use) without expressed written consent in advance. Violators will be subject to current copyright laws. This involves any past, present or future use. This does not apply to any images, logos, text, and material that I do not own currently on this website (AKC, Gundog Breeders, Canine Good Citizen, T-Shirts for Haiti, American Red Cross, etc.). 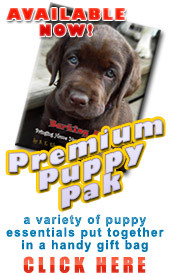 Click here for puppy photos! sound health/foundation and ongoing Champion potential. NFC DEWEY'S DRAKE OF MOON RIVERS, son of FC HILLTOP'S HAYSEED. 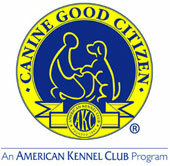 Due to a lengthy FMLA, I am currently no longer a member of any AKC dog club or training facility. I apologize for any inconvenience and/or misrepresentation. When I renew my membership with such, I will update accordingly. 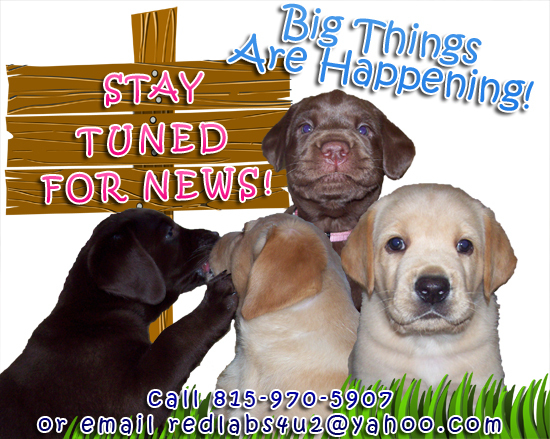 Current on all Registrations, Pedigrees, Paperwork, Microchipping, Training, And Much More! More reports of dogs getting sick after eating Iams in the "Green Bag." These were not included in the last recall. Long-trusted holistic pet food maker Natura Pet Products has sold out to Proctor & Gamble. Natura Pet Products makes Innova, Evo, California Naturals, Healthwise and Karma. I am currently researching dog foods after my pet family became ill. 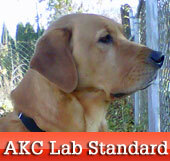 I had fed exclusively Iams/Eukanuba products - made by Proctor & Gamble - up to and during the onset of illness. Proctor & Gamble acquired the Iams and Eukanuba brands in 2000. The corporation has made several changes to the formulas and ingredients following acquisition, as I've recently learned through research. Have you read the label on your pet companion's food? What is really in it? Dog food labels can be deceiving. Major food manufacturers claim to use chicken, beef, lamb, whole grains, and quality fats - and many state they use no fillers. Only half the story is provided. The rest of the story is veiled behind obscure ingredients listed on the labels. The following are a few of the many posts at ConsumerAffairs.com. Several families have had sickened pets, with some of them dying. 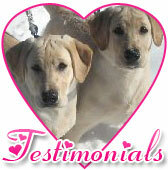 They had all eaten Iams/Eukanuba food prior to their illnesses and while getting sick. 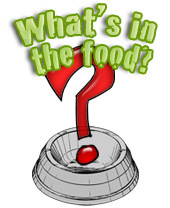 How many pet owners and veterinarians don't know it could be the food that is causing problems? I have two dogs, one didn't like the food I normally feed so we bought her a bag of IAMS Healthy Natural. She got really itchy and had bloody sores on her skin. She didn't want to eat the food and lost some weight, she is a rescue and is already underweight. A few hundred dollars later the vet said she was probably allergic to chicken. We bought her a new food and she seems to be doing better on it. The bag was 7lbs and nearly empty so I mixed a VERY SMALL portion of the IAMS food into my other dog's food. He had soft stools for a few days. I did not feed anymore of the food for a couple days. It cleared up. I gave my dog less of the IAMS and mixed it into his regular food, a few hours later my dog was very restless and was pacing around the room at night NOT normal for him. MY husband took him out and he proceeded to a few minutes later vomit a large amounts twice in the house. There was red in the vomit but I thought it was something he ate that was red. I bought a bag of the red IAMS Lamb and rice, for my dog. Noticed at check out that it had a free can of their wet food in it. Fed my dog 4 meals. It was very hot and she seemed to have some breathing issues but I chalked it up to the heat. After the 4th meal, hit can with my scoop, pulled it out and saw that it had exploded and looked green. I thought well thank God it's in a bag. put it in a zip lock and tossed it. That night my dogs breathing got worse and she seemed to be having a stroke. As she is 16 I have decided that I would allow her to pass gracefully and in essence have a DNR for her. I sat with her while she was in agony, I did not make the connection to the food until 4 am that morning. I came across the information about IAMS Pro-Active Mini-Chunks (green bag)and Pro-Active Weight Control (blue bag) through another source. I recently (approx. mid May) started feeding both my dogs IAMS brand foods: my Lab IAMS Pro-Active Adult Lamb Meal & Rice Formula and my dachshund IAMS Healthy Naturals Lamb Meal & Rice. I have noticed in the past two days that my lab does not want to eat his food in the mornings which is VERY unusual for him. My dachshund hasn't been eating in the mornings either (not too unusual for him). I have not paid much attention to the nature of their stool but will now. My lab has been smacking, licking his jowels a lot in the past couple of days and has been very thirsty. This is an update to my May 30, 2010 posting. It's interesting to see a posting mentioning that pet owners should be contacting Iams directly. Many indeed have contacted Iams only to be told the company has not received any reports of pets getting sick, nor is there a problem with the food. In speaking with them myself, I was told there was no problem with the food, but they would be willing to replace it. Food replacement will do nothing to alleviate the suffering of the pet companions, nor will it reimburse the owners who have spent a great deal of money dealing with the sickness; some have had devastating costs. Dog number one started to get sick around June 15th. We took her to the vet and were told that she had probably eaten something with bacteria in it. Switched her diet to rice and gave her antibiotics and she was was feeling better within a day. Dog number two just got sick, and dog number three is looking pretty lethargic. There is no compost pile or anything in my yard and I clean it regularly, so I looked up their food. We are using the green Iams bag of mini-chunks purchased in bulk at Costco. Imagine my surprise at running across so many complaints! 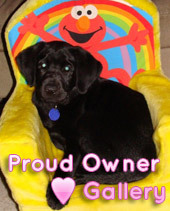 I had been an Eukanuba/Iams Select Breeder for all my years of breeding; using and promoting their products (food, treats, etc.) and having fairly good luck with the products until recently. At this time, I am strongly urging all of my dog/puppy owners to stop using all Eukanuba/Iams products immediately. I have had two food infestations within the last few months. It seems I am not the only one. More important information is available here. I appreciate your patience, but due to confidentiality agreements I am no longer able to offer updates of my own situation. I will continue with other updates. Everything so far posted is correct to the best of my knowledge. 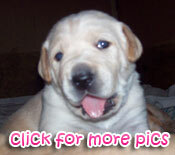 I recently received an email contact of news of another loss of a pet who had eaten Eukanuba. Please continue to check ConsumerAffairs.com. please inform the proper authorities. This is not meant as defamation. It is meant as an informational warning so that no other animals are placed in jeopardy. I do not grant permission for any of my offspring (pups and/or dogs) to be sold, placed, given up, surrendered, handed over and/or anything of the like, but not limited to single ownership (i.e., third-party, family member, etc.) 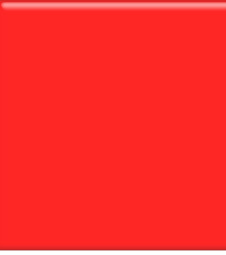 for any kind of testing purposes (pharmaceutical, dietary, including and/or not limited to anything of the like). Refer back to contract for purposes of right of first option. The American Kennel Club (AKC®) announced its nationwide registration statistics today, revealing that for the 21st consecutive year, the Labrador Retriever is still the most popular breed in America. Please take great care when considering adopting a puppy or, contact me for proven excellence, with credentials, certified pedigrees, health certifications, references, long lineage of Titles and much more. that can be misleading and misrepresenting. Any dog food company that feels it necessary to conduct tests such as these (see below) speak magnitude of what's going in the food that would require such testing as these or anything similar. Seriously folks. - S.E.L. For all of you who used to be like me in using these products. 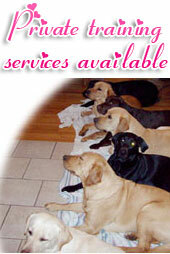 Bethany Animal Hospital: Excellent Care to your Animals... and you! �2008 Labs of Luv - All rights reserved.